AdvantaClean of Denver is one of the best crawl space waterproofing solutions and encapsulation providers. In the Denver area, we have earned the reputation of being the most innovative crawl space cleaning and maintenance agency. We have the experience and expertise to handle all sorts of crawl space cleaning assessments. Irrespective of the size of a crawl space, we can pin-point the real issue and devise the most appropriate solution. Our technicians are well-trained in every aspect of crawl space maintenance like waterproofing, mold removal, or crawl space encapsulation with installation of vapor barriers. We provide quick and efficient solutions to any crawl space issue you are having. With the waterproofing and crawl space encapsulation solutions of AdvantaClean, 100% customer satisfaction is guaranteed. The crawl space of any building is a critical area that supports the outer structure and also acts as a storage space. 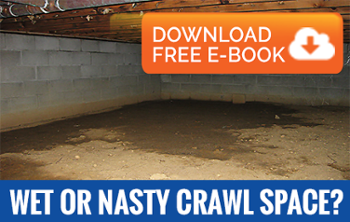 As the crawl space is an underground area, it is highly susceptible to seepage, flooding, and humidity. Humidity in particular is the main catalyst so far as crawl space problems are concerned. It gives rise to mold growth, which in turn breeds pathogens and allergens. As most of the air that we breathe within a building comes from the crawl space, the allergens pose a major health hazard. Moreover, the extra moisture can damage the internal structure of the building. So, it is very important to keep the crawl space of your building cleaned. Since we live in an area that has a lot of snow, it is important to keep the cold weather from damaging the crawl space. If the crawl space gets water damage from snow leaking into it, moisture can become trapped in the surface. Keep your crawl space dry and moisture free, call AdvantaClean of NE Denver for moisture control today!